When I made my chocolate mint truffles, I asked what other favour would you like me to develop. Loud and clear the two winners were brandy or walnuts, so I thought why not combine the two? So here are my sugar free walnut and brandy truffles. 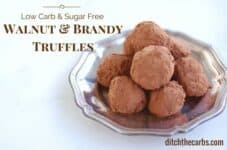 I came up with these simple sugar free walnut and brandy truffles which are even lower in carbs than the original recipe. These are intended for adults only as they contain alcohol. If you would like these to be alcohol free you can omit the brandy entirely or use alcohol free brandy essence. 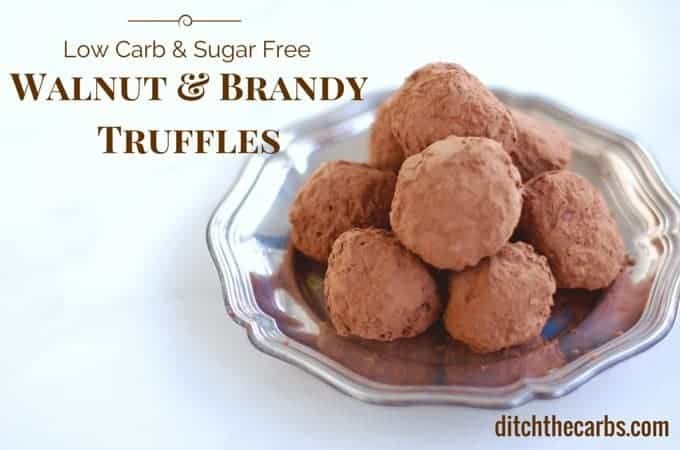 Sugar free walnut and brandy truffles are so filling, you may only be able to eat one (or possibly two) but that's the point. High healthy fats keep you fuller for longer, and keeps those high sugar treats craving away. Warm the cream cheese block to room temperature or in the microwave for 15 seconds, until it is soft enough to work with. Add the melted butter and mix through with a fork to ensure it is lump free and smooth. Add the cocoa powder, sweetener and brandy. Mix until thoroughly combined. Gently stir through the tiny walnut pieces and refrigerate until firm enough to roll into balls. 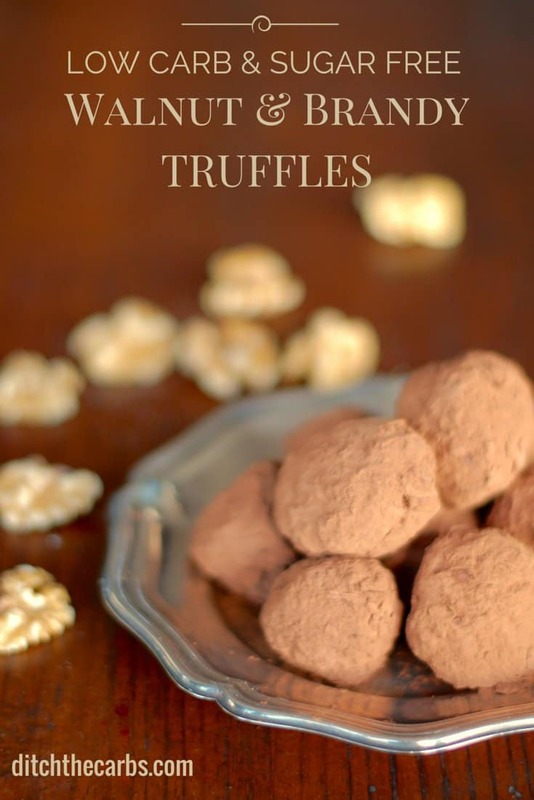 Roll a heaped teaspoon at a time and place each truffle on a plate. Place the plate into the fridge again for an hour or two for the truffles to really set firmly. Roll in cocoa powder if you like, or crushed walnuts, pistachios, pecans etc. *Brandy is optional and is intended for adults only. You can omit this entirely or you can add alcohol free brandy essence. For more low carb sweet treats, take a look at the recipe finder and join us on Pinterest. Hello Libby – thank you for sharing this recipe. 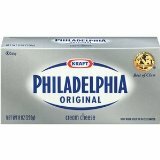 I can’t get the cream cheese block here in the UK like I used to be able to in Australia. Should I use extra butter to make it more solid? 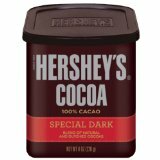 Or maybe cacao butter? I have some handy links for you. You can buy cream cheese in Sainsburys and ASDA (and from memory when I lived in the UK, also Tesco’s). 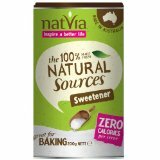 Just made these tonight, they are bloody fantastic!! I’ve made these once, but wondered if rum would also be ok? I’ve tried to look at the labels of spirits but they don’t show any info, and so didn’t know if rum was the same as brandy as if so that would also be good? I love this recipe!!!!!!!! I added some almond meal to the mix and rolled in almond meal. Very yummy – thank you! Looks a brilliant idea. Works so well just as walnuts, but of course a little bit more special with brandy added too.